We have created a Virtual Reality experience about our trip. 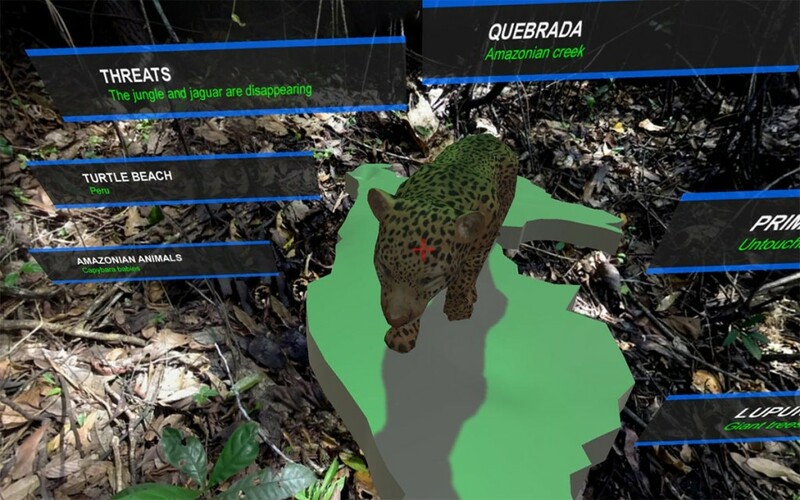 Using this app, you can enter immersive environments and interact with some of the locations we visited in the Peruvian Amazon. 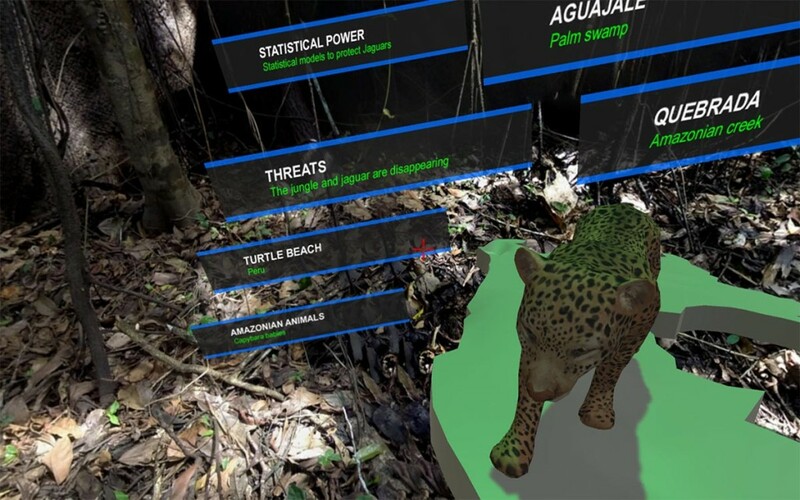 You can also learn about the jungle, the animals that inhabit the jungle and the mathematical and statistical models that we are developing to create the evidence base for jaguar conservation.. Note that this technology is currently only available for Android devices and you will need a VR set such as Google Cardboard. 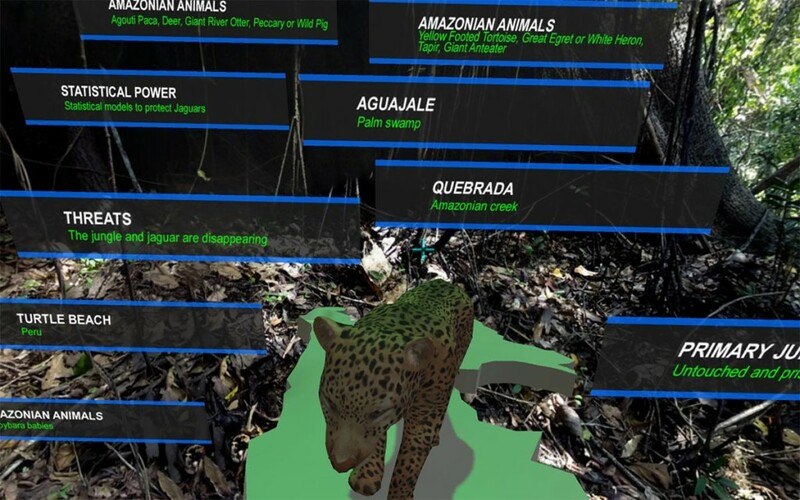 Installation instructions: Android version of the JaguarVR application for Google Cardboard and Oculus devices can be found here. 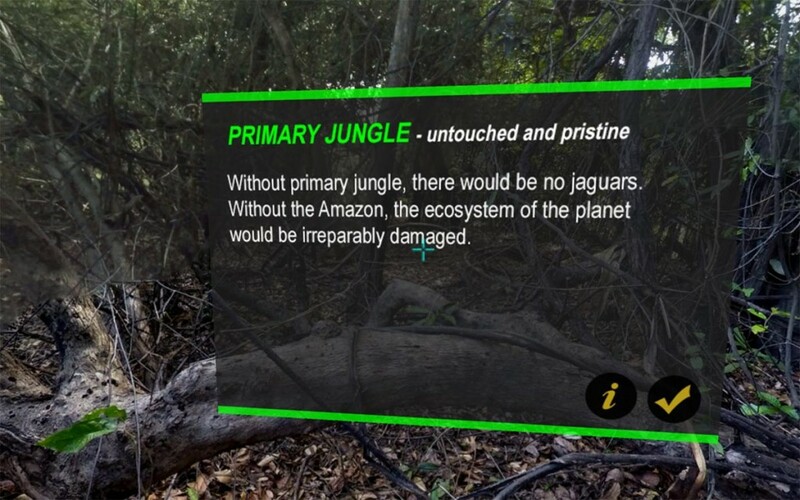 When you start the JaguarVR application, you will see a scene, such as the one below with beautiful Amazonian jungle in the background, a jaguar walking on the map of Peru and a set of banners floating in the space and acting as “teleportation” menu items. Use your body and head rotation to navigate within the scene. 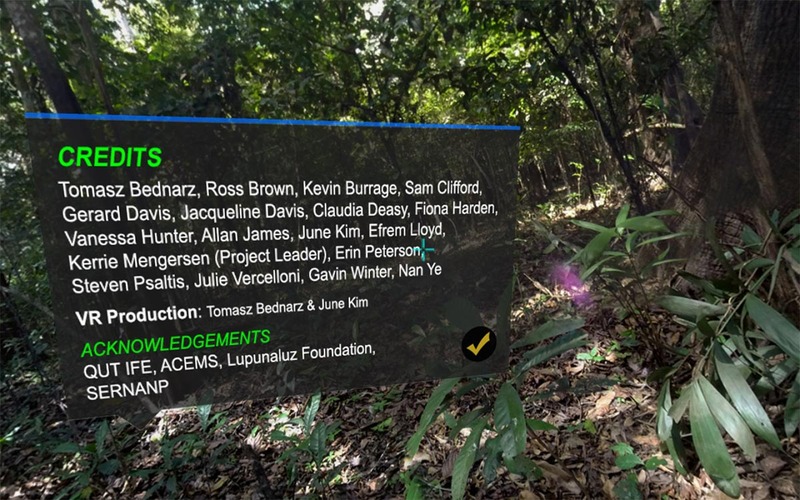 Look around and familiarise yourself with the Virtual Reality scenes. In the centre of the screen, you will always see a cyan cross that allows you to interact with the scenes. When the cross changes its colour to red, it indicates interaction with the objects in Virtual Reality. See below: the cross became red on the panel “TURTLE BEACH – Peru”. 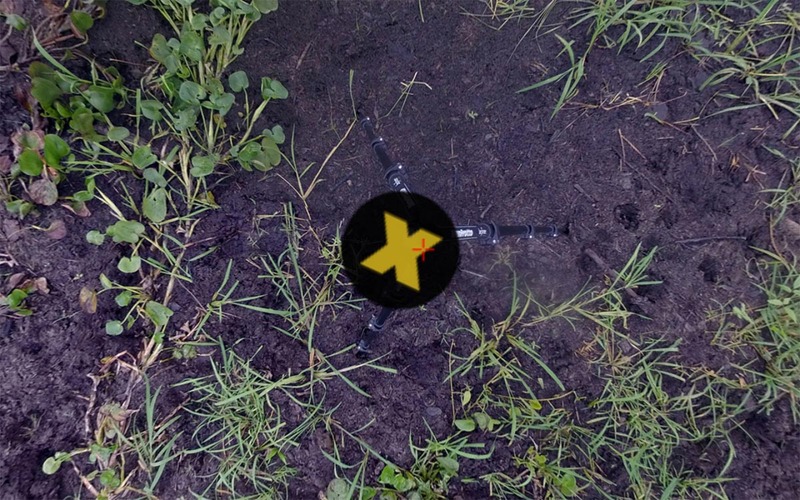 If the cross is kept there for 2 seconds, it will “transport” you to the 360-degree scene. Big panels like the one below can be closed by putting the navigation cross on the “TICK” button. If you see the “i” icon on the big panel, it means the scene has a voiceover – focus the navigation cross on the “i” and you will hear the voice describing the scene. When you focus on “TICK” the panel will be closed. If you want to jump back to the main menu, look down and you will see “X”. Focus on it to activate it, and the application will take you back to the scene with the jaguar on the map of Peru and the “teleportation” banners. You will be able to experience different places. What will happen when you put the cross on the jaguar? Find out yourself.